The purpose of Eco-mapping is to provide small companies and organisations with a free, visual, simple and practical tool to analyse and manage their environmental behaviour. It involves making a map of an organisation’s site, for example, a shop floor, a workshop, an office, a community centre to create an understanding of an organisation’s current environmental situation. Eco-mapping is not a goal in itself, but a process framework that helps to define and prioritise environmental problems and issues to act upon. Once completed, Eco-mapping can serve as the basis for a wider environmental management system. The first step involves drawing a map of an organisation’s site, as seen from above. This includes access areas, roads and the immediate surrounding environment. This is called an ‘urban situation’ map and is used twice. A simple, recognisable map of the internal site is then drawn to-scale to show the interior spaces. This is used six times. Urban situation: situates the organisation’s site in its wider spatial context. Nuisances: looks at external environmental ‘nuisances’ that affect people: noise, odours and waste storage. Water: looks at the organisation’s consumption of water and discharge of waste water. Soil: looks at the storage of flammable, dangerous or hazardous products in relation to groundwater. Air, odours, noise, dust: looks at all the points of emissions and the functioning of equipment inside an organisation. Energy: looks at consumption of energy and its impacts. Waste: looks at management and prevention of waste. Risks: identifies risks of accidents and pollution. If an organisation wishes, it may develop its own symbols to draw onto the maps. For each of the eight maps, the Eco-map Brochure explains the review process. It suggests possible environmental issues and problems that the organisation compiling the maps should draw using the symbols, as well as documents, estimates and data that can be used to help with thinking about which issues to map. Also included is a list of questions to ask when conducting the review and useful information such as how to calculate the pollution generated by an organisation’s vehicles. The first two maps (Urban situation, Nuisances) give an indication of an organisation’s environmental situation in a wider spatial context. For example, for the Nuisances map, it suggests drawing points of discharge into the air, sources of noise and odours, and areas of storage of waste and hazardous products. This means an organisation has to think about its ventilation, bins, noise and overall energy use. The next six maps deal with the internal space of the organisation’s site. For example, the Energy eco-map requires the organisation to draw the location of machinery or computers, useless lighting and where there are areas of heat loss. It seeks to help an organisation consider its energy consumption and what it can do to be more efficient. Once all of these maps have been drawn, they can be copied onto overhead transparencies and placed on top of each other. This helps to clearly identify the areas on an organisation’s premises or site with environmental priorities. Action is then taken on problems surrounded by thick circles, with priority given to issues that affect worker health and safety. The areas of potential problems to be monitored – denoted by the hatch symbols – can be followed up after the immediate concerns and solutions have been dealt with. These actions are at the discretion of the organisation itself although the Eco-mapping Brochure provides some guidance on each issue. Eco-mapping allows an organisation to easily visualise the origins of environmental impacts at its premises. The tool is free and can be used inexpensively. It can be used to encourage all employees to become involved in embedding environmental changes and thinking across the organisation’s personnel and on-site activities. 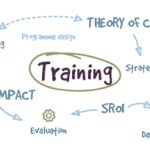 Anyone in the organisation can use the tool to support their work and training. Raises awareness, by providing an easy-to-understand visual representation of the seriousness and geographical impact of environmental behaviour and management. Provides a systematic review for wide ranging environmental issues. Can be used regularly to instil continuous improvement. Can provide a method for communicating environmental assurance to stakeholders. Eco-mapping can provide a base upon which to seek other environmental standards such as ISO 14000 and EMAS – the Eco-management Audit Scheme regulation or other environmental management systems. Can be perceived as not being serious or formal enough for larger organisations. It is less able to assist with determining risks and future challenges and trends. It is more difficult to use for a site that covers a large area. It focuses on site premises and so may be difficult for organisations that work at multiple sites or in a more diverse set of places. It deals with environmental impact only, and does not focus on social or economic impacts, except when they are concerned directly with the environment. Eco-mapping was originally developed for small to medium-sized businesses, but any organisation in any field can use the tool effectively. Larger organisations might use this as a starting point before moving on to a more intensive approach, such as EMAS. Anyone can lead the Eco-mapping exercise though it is best if the tool has the support of the entire organisation, including management, so that changes can be implemented and risks addressed. The tool is very simple to use, although an ability to draw a relatively simple map from which to work will be beneficial. An existing site map or blueprint could also be used. General knowledge of the site under review will help to facilitate the process. The organisation that developed Eco-mapping suggests that less than one hour of work for each map will be required. Approximately two days per year will be sufficient time to complete Eco-mapping on the recommended annual basis. Eco-mapping is a simple, do-it-yourself tool but the website, www.ecomapping.org, contains further information and the downloadable workbook features brief case studies of organisations that have used Eco-mapping. Eco-mapping is a copyrighted tool developed by Heinz-Werner Engel as part of the International Network for Environmental Management (INEM) initiative, EMAS (Eco-Management and Audit) Toolkit for SMEs. The Eco-mapping tool should not be repackaged for profit-making purposes without the express written consent of Mr Engel. It is a shareware process and organisations are encouraged to report their experience to feed histories into the tool’s continuous improvement loop. Eco-mapping is available free of charge to interested individuals, companies, organisations and local authorities for personal use. Many small and medium-sized businesses across Europe have used Eco-mapping, along with trade unions and public sector organisations. Since 1998, over 20,000 copies have been downloaded from the Eco-mapping website from countries across Europe, in numerous languages. The International Network for Environmental Management (INEM) also provides some information on Eco-mapping and its use as part of further environmental quality and impact work. See www.inem.org for more details.